Are you Self-Conscious about a Scar? You Can Treat It with Lasers! Remember the time you and your buddies went all out on that basketball game and you fell and you ended up with a big gash in your forehead? Or that time when your stress hormones went out of control and you did a battle on your face? Well, now you have reminder on your face or body and it’s a scar. Scars are not attractive and not a sign of masculinity and with laser technology, can be easily addressed. 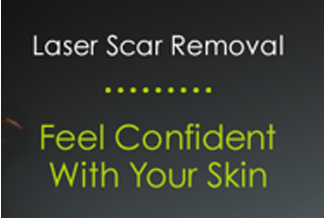 Scars result as a cut or injury to an area of skin and can have a tremendous emotional impact to our wellbeing. Unfortunately, there are no scientifically proven product or technique to eliminate scars completely. 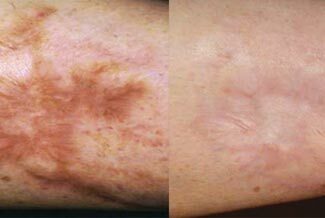 However, there are new technologies that can dramatically improve the appearance of scars and minimize their visibility. The scar reduction treatment at Noydeen Beauty is a noninvasive procedure and can take as little as 20 minutes per treatment to perform. With proper treatment cycles and wound care post treatments, our clients can expect dramatic improvement in the appearance of scars, to a point where they are barely visible.